I saw this idea here on wonderful, glorious, brilliant Pinterest. 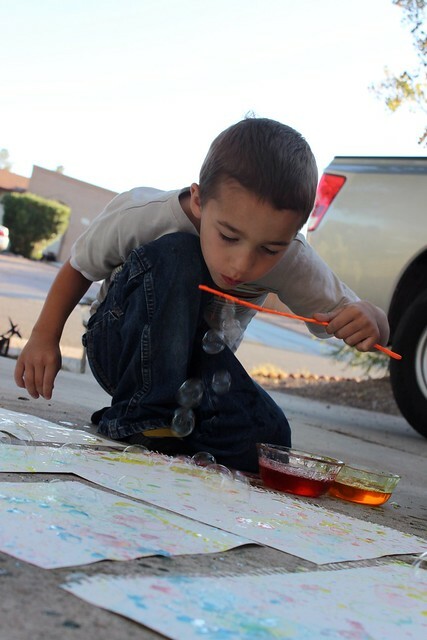 Pinterest overflows with inspiration. If you haven’t been yet, check it out. 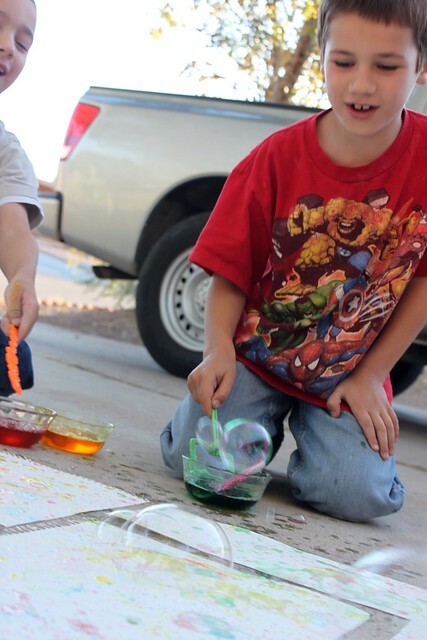 Just add food coloring to bubble solution and presto, you’ve got bubble paint. 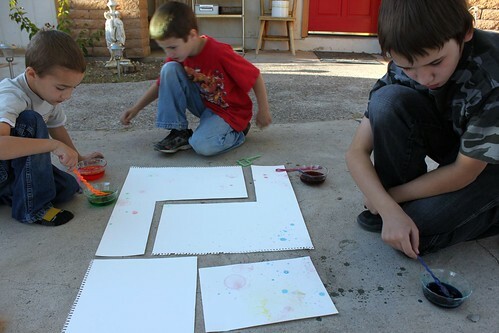 I set out big scraps of water color paper in the front driveway, that way the dogs wouldn’t be treading all over it. Don’t wear clothes you care about when doing this project. 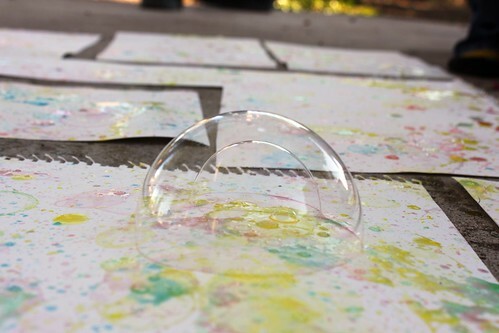 Bubbles WILL pop on you and the food coloring stains. The kids were itching for a project. This one was perfect because it’s so fast. I was kind of cranky that day. 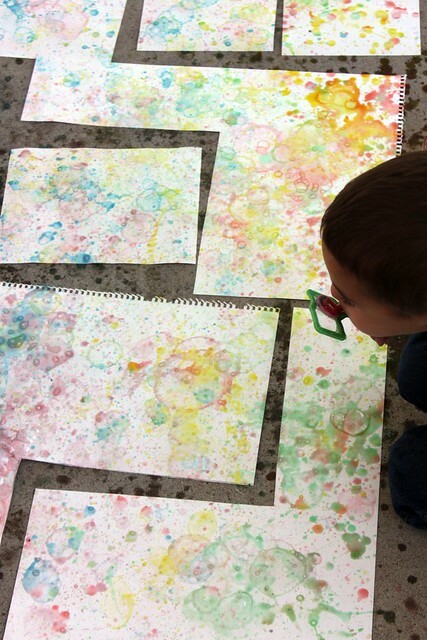 A cranky mom can ruin a good craft project. I know. I’ve done it. 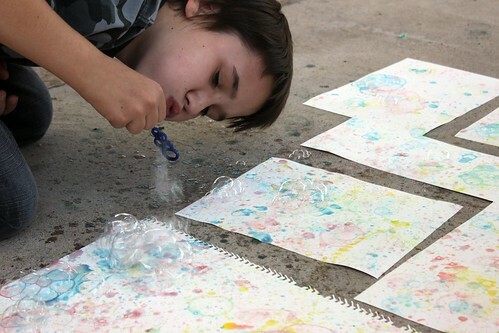 Not on this day though since mixing the bubbles through clean up all took less than 30 minutes. 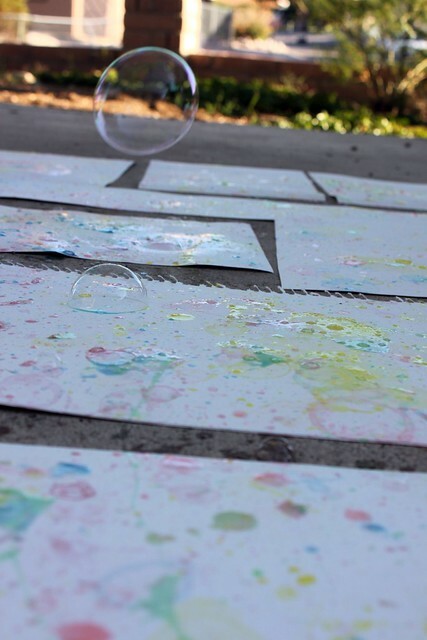 Now I just have to figure out what we are going to make with the pretty paper. Ideas? I saw hang it on the wall! It is a work of Art! Thanks Kristen! That was the original plan, but they look like they want to be something else. I think I may turn them into Christmas tree cut outs. We will see. How about using it as Christmas wrapping paper? I don’t think we made enough and the paper is pretty thick, but if you did it on a roll of white butcher paper it would make excellent wrapping paper. Good idea Jennifer!